Professor Braja Das is the Dean Emeritus of the College of Engineering and Computer Science, California State University, USA. He is a geotechnical engineering by profession and received his Ph.D. degree in 1972 from the University of Wisconsin, Madison, USA. For more than three decades, Professor Das has worked as a faculty member and in academic administration in several universities. He is a Fellow and Life Member of the American Society of Civil Engineers; Life Member of the American Society for Engineering Education; and Emeritus Member of TRB’s AFS-80 Committee on Stabilization of Geomaterials and Stabilized Materials. As a teacher, he has received many teaching awards including the Distinguished Achievement Award for Teaching Excellence, University of Texas at El Paso (1983); AMOCO Foundation Award for Outstanding Teaching, University of Texas at El Paso (1983); Western Electric Fund Award, ASEE (1984); Ralph R. Teetor Educational Award, Society of Automotive Engineers Inc. (1985). 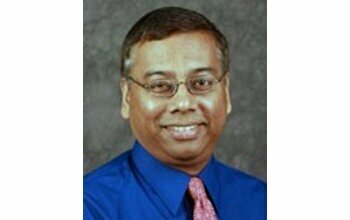 Professor Das has published more than 300 papers in various journals and peer-reviewed conference proceedings. They are mostly in the areas of shallow foundations, earth anchors, and geosynthetics. He published some of the early founding studies on the bearing capacity of shallow foundations on geogrid-reinforced sand. His past editorial activities in geotechnical engineering journals include Editorial Board member of Journal of Geotechnical Engineering, ASCE (1988-1992); Lowland Technology International, Japan (1999-2007); Geotextiles and Geomembranes, Elsevier, UK (2008 – present). He was the Associate Editor of the International Journal of Offshore and Polar Engineering (1995-1998); and Co-Editor of Geotechnical and Geological Engineering, Springer (2001-2006). He is founder and Editor-in-Chief of the International Journal of Geotechnical Engineering (Taylor and Francis, UK) since 2007 up to the present. Dr. Das has been a very popular keynote / or invited speaker in many conferences and special meetings in various countries. These countries include Mexico, Dominican Republic, Costa Rica, El Salvador, Peru, Colombia, Ecuador, India, University of Birmingham, UK, Korea, Bolivia, Venezuela, Turkey, Turkish Republic of North Cyprus, and Tunisia. He has been named as the first Eulalio Juárez Badillo Lecturer by the Mexican Society of Geotechnical Engineers (November 2016). Professor Das is the author/co-author of several text and reference books in the area of geotechnical engineering, probably having written more than any other individual in geotechnical engineering. His textbooks have been translated into several languages and are used throughout the world. His clear, concise, and singularly-unique style of presentation is very much admired; thereby attracting many students over the last 25 years who might not have considered geotechnical engineering as a profession. This is truly his most outstanding achievement which has endeared him to many young geotechnical engineers around the world. This is his legacy -- now and for years to come. Dr. Khaled Sobhan is the associate director of the Center for Marine Structures and Geotechnic and a Professor of Civil Engineering at Florida Atlantic University. His primary research areas include ground improvement, geotechnology of soft soils, experimental soil mechanics, and geotechnical aspects of pavement engineering. He served as the Chair of the Chemical and Mechanical Stabilization committee (AFS90) of the Transportation Research Board (2005-2011), and co-authored the TRB Circular titled Evaluation of Chemical Stabilizers: State-of-the-Practice Report (E-C086). He served as an Associate Editor of ASCE Journal of Materials in Civil Engineering, and currently serving in the editorial board of the ASTM Geotechnical Testing Journal, Geotechnical and Geological Engineering, and International Journal of Geotechnical Engineering. He is a recipient of the distinguished Award for Excellence and Innovation in Undergraduate Teaching (2006, 2016), and the Excellence in Graduate Mentoring Award (2009) from Florida Atlantic University. He is the co-author of the nationally-acclaimed text book, Principles of Geotechnical Engineering (Braja Das and Khaled Sobhan), 8e, Cengage Learning. Dr. Sobhan received his M.S. degree from The Johns Hopkins University, and his Ph.D. degree from Northwestern University, both in the area of Geotechnical Engineering. Geotechnical characteristics of subsoils should be adequately incorporated in the rehabilitation strategies of existing pavements which have performed poorly due to problematic subsurface conditions. However, there appears to be a disconnect between the advances in our understanding of the mechanics of soft or problematic soils and the rehabilitation design of the overlying pavement structure, leading to repeated cycles of premature distresses, underperformance, and failures. A case study is presented for the rehabilitation of a flexible pavement built over soft organic soils in Southeastern Florida, USA. The study incorporates forensic investigation of the deteriorated pavement structure, subsurface investigations with cone penetration testing, design and construction of reinforced overlays in field test sections, and long-term performance monitoring with non-destructive dynamic tests. Efforts are made to correlate site characteristics with pavement performance. Based on the secondary compression behavior of the organic soils, cement deep mixing criteria are proposed for a more durable and sustainable solution.